Every journey is an adventure. Especially one into the unknown. 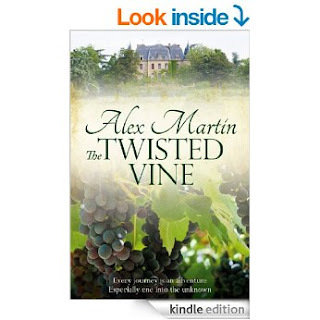 The Twisted Vine is set in the heart of France and is a deeply romantic but suspenseful tale. Roxanne Rudge escapes her cheating boyfriend by going grape-picking in France. She feels vulnerable and alone in such a big country where she can't speak the language and is befriended by Armand le Clair, a handsome Frenchman. Armand is not all he seems, however, and she discovers a darker side to him before uncovering a dreadful secret. She is aided and abetted by three new friends she has made, charming posh Peter, a gifted linguist, the beautiful and vivacious Italian, Yvane, and clever Henry of the deep brown eyes and the voice to match. Together they unravel a mystery centred around a beautiful chateau and play a part in its future. Join Roxanne on her journey of self discovery, love and tragedy in rural France. Taste the wine, feel the sun, drive through the Provencal mountains with her, as her courage and resourcefulness are tested to the limit. Oh and there may be the smattering of a romance in there as well! Absolutely superb. A romance over wine grapes? Sounds like fun. Sounds intriguing. Later, I'll check it out. Have a pleasant weekend. I would like to go grape picking in France, broken heart or not. Set in France...grape picking...romance...say no more! It's on my kindle! Have read some great ebooks set in France lately! Love Juliette Sobanet. Check hers out. All set in Paris. The linky just went live for WEP. 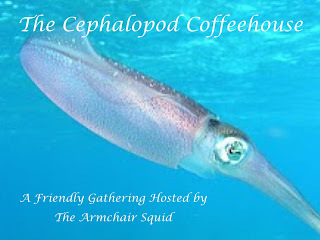 Hope you're going to join us! A beautiful chateau in France sounds divine. I agree, picking grapes in France, romantic all by itself. Wish I were younger. Thanks for the review, I'll have to check it out! ummm, France, grapes, handsome Frenchman and summer.